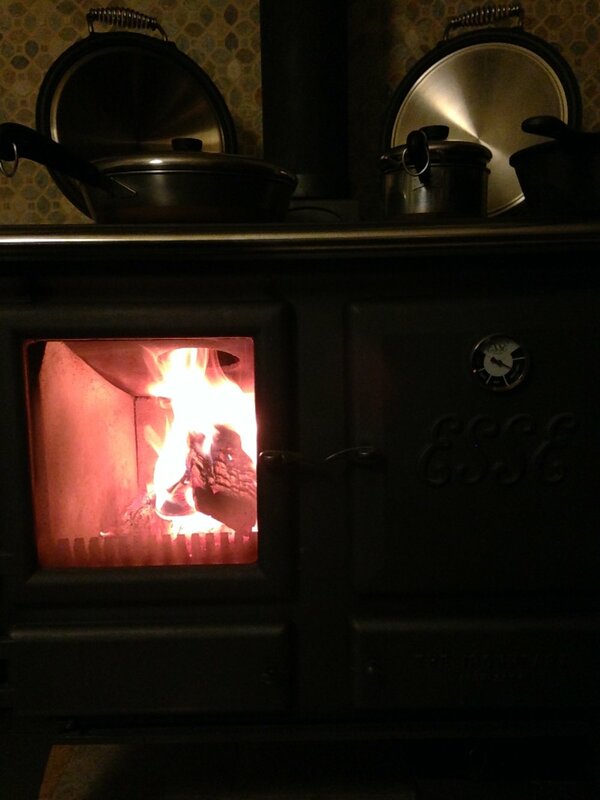 Since it is cold outside we heat our home burning wood in our beloved ESSE Ironheart. She is a real beauty and my best friend in winter. While I gaze into the fire I can cook and bake bread simultaneously. Not to mention the magical atmosphere it creates. Six cups organic unbleached flower, sea salt to taste , half cube fresh brewer's east ,3 cups water , prayer and a heartfelt blessing. 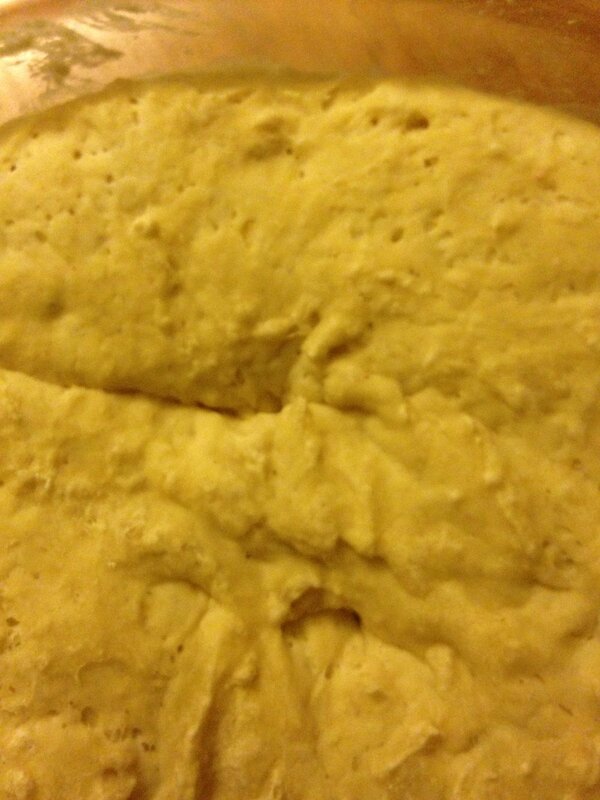 Magically a face appeared in the rising dow can you see it? After all today is 12/12 . My day was filled with wonder . And this visitation made it even more so. Wish I could share this bread with you all.